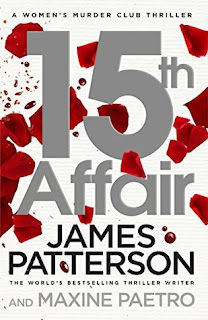 The 15th affair, book 15 of the Women's Murder Club, was a much awaited book for me as I was a fan of the series and had read the 14 previous books from the same series. I had also read other books by the author and was pretty much waiting for the next instalment for my favorite women protagonists to solve crime as they handled their jobs and lives. The summary and cover looked simple and I felt a sense of returning to the familiarity of a WMC novel. One of the many things I knew and loved about the series were its titles - from books one to 14, the numbers in the book meant something in connection with the story and also clearly mentioned why a particular title was chosen. Maybe I had completely missed it due to other reasons or maybe it really was not that evident, but the reason behind this title was not very clear to me and I spent the whole of the book looking for the elusive connection. Lindsay Boxer - a happy mother of an adorable daughter is having a near perfect personal life, and is happy to return home to a perfect domestic scene after a hard day at work. Right when thnigs seem to be going well, four murders shock the city of San Francisco and Lindsay Boxer is called on the scene to investigate four murders. The clues all fade out as soon as they appear and before long, Lindsay finds her professional life clashing with her personal life and revealing shocking truths about the man she believed above everyone else - her husband, the strong, dependable and charming Joe. As the case of the four murders keeps growing stronger and murkier, Lindsay is also affected by her husband's continuous absence, prompting her to come to horrifying conclusions. Was Joe involved in this? If so, to what extent? And whose side was he on? What did he know? And how much did he know? Lindsay is armed with limited information as she struggles with two mysteries in her life that could both combine as the same thing. What happens next is the rest of the story. While I have always been a fan of Lindsay Boxer as a character and have grown to admire her very human, faltering weaknesses and strong willed determination, I found, for the first time, that I really did not like a novel that was focusing mainly on her. The Women's Murder Club series grew on me mainly because it spoke about the combined efforts of all four women in the books, each of them contributing in some way to solve the mystery. The books usually follow certain basic plot points - a gruesome crime happens in San Francisco and the four women in various fields join hands and contribute to solve the crime. Lindsay narrates the book in most parts but the speciality is the third person narrative in a few chapters that speak about perspectives other than Lindsay's. Together they complete the story, linking all the missing pieces to form the full picture. Amidst all the chapters, almost equal importance is given to the other three women and their professional brilliance. But the 15th Affair feels like a One (Wo)Man Show, with Lindsay holding the megaphone and donning the greasepaint all by herself and concentrating more on the lament of her missing husband and his involvement in the crime scene, and even the hyperactive Cindy Thomas and the ever strong Clair Washburn (who usually provide Lindsay with information that will help in solving her case) are reduced to mere namesake appearances. While the author has clearly tried to show the other lesser known side of his leading ladies, he has overdone it a bit on Lindsay's side, making her (actually normal for a wife) ranting about her missing husband take away the focus of the book and the main crimes that form the plot of the book. That is not to say that there is no proper conclusion to the story or the main plot element. There is proper closure to the novel and the inclusion of a few good twists. But the novel still leaves a lot to be desired in terms of veering away from the original style of the other novels in the series and loses the focus on the other three ladies who are an integral part of the books and the plots. The 15th affair is an interesting read, but for some fans who liked the WMC as a whole and not just Lindsay alone, this novel will be a disappointment. The plot and language are the usual, but the execution a bit unusual. Hoping for a better book in number 16. The familiarity of the writing, despite the obvious shifts in focus. A good book overall, but not much of a treat for die hard fans of the WMC. 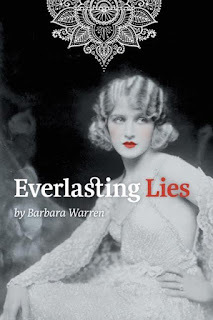 Piecing together fragments of her grandmother’s remarkable and tragic story, Everlasting Lies is Barbara’s loving tale of the early life of Edina, her grandmother, and Charles, Edina's husband. They both experience the horrors of WW1 and, in hopes of renewing their marriage, start new lives as members of the upper class in Imperial India. I have always had a liking for historical fiction and women centric books. And this is the primary reason I picked this book up as soon as I was given a chance to. The cover (black and white image of a striking woman with only her lips highlighted in red) gave me a little idea of what I would get to read in this book. The digital copy I received for review purposes had good formatting and was pleasant on the eye. I began the book with eager anticipation, wanting to read more about early twentieth century England. I was not disappointed on that particular count, though. When you read a book set in your home country, talking about events in connection with history as you knew it, there is a certain amount of comparison going on in the back of your mind about other books about that period of history, and a thirst to read and accumulate more details about how the country and the lifestyle of the people were in those years. The present day reader entirely relies on the author's writing prowess and depth of research to know the accuracy of the information unless a few events or scenes in the book blatantly disregard the common mood of that period. Everlasting lies is a book about relationships and human emotions. But it is not as simple as that. What actually kept me engaged with the book itself was the good writing, despite certain scenes making me want to keep it aside for some time before I could regain a neutral perspective and continue reading. The lead characters, Charles and Edina, are married due to an early pregnancy and aren't really emotionally attached. Then when circumstances force them apart, promiscuity rears its head and before long, both of them have affairs. I loved how the author has evoked the righteous emotions from the reader where the lead characters are involved, and a wide range of emotions it is - ranging from shock, surprise, anger, justification and understanding. It is with the power of her words that she has managed to get the readers involved. Where the book falters, at least according to me, is in the ending and the gross misrepresentation of women from the Eastern world. The book seems, at places, a generalised account of individual experiences that were vaguely documented. It is tricky to write about such events that are sure to kick up a hornet's nest. The actual unbiased reader does understand that there might have been some basis in fact or some precedent. But the author seems to have conveniently forgotten to base the story on actual facts and has changed the entire scenario to fit the perspective to please a majority of readers (if such readers are pleased to know, however falsely, about the easy availability of certain womenfolk from a country) and has victimised the wrong side, carefully wording her story to give the impression that men were lured by them instead of them bending down to their sadistic, power hungry demands. And no amount of brilliant writing could disguise or gloss over this blatant disregard of a whole culture. The whole story of the lead pair's marriage, the events leading to it, and the pain of a loveless union, not to mention clandestine affairs have all been dealt with beautifully with the right words. As with any book, the power is with the words and in that, this is a good piece of writing. This book, simply with the style of its naturally brilliant writing, is sure to evoke strong emotions from its readers. But as to what emotions it brings forth, that is solely dependent on the reader's mindset and their perspective on the content of the story. This book is a natural success in terms of good writing but requires a little more impartial unbiased outlook where the story and events are considered. The historical setting of the novel is a treat to read. The emotions, characters and scene settings are so real and transport the reader to the place. The blase description of eastern women (a gross generalisation) left a bad taste with me. The overall descriptions of certain events that are clearly misleading. The hurried, open ending that seemed a bit abrupt and unexpected in a way. A good piece of writing, but not one you would praise for historical accuracy. Barbara Warren always has the pedal to the metal. Born in England and educated at a convent, she left school at sixteen and was selling encyclopedias in the roughest part of London at eighteen. 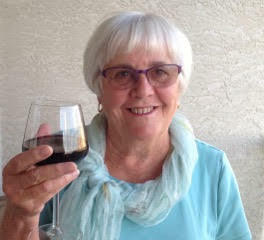 She married and emigrated to Canada when she was twenty-three, had three charming daughters, went to university when she was thirty-six and retired from teaching in her mid-fifties. The phrase 'mummy's little angel' is often used to praise kids when they are beautiful and well behaved, telling them how they are special and brilliant. I could not make the connection with that phrase and the summary of the story but it did send chills down my spine. The cover image was perfectly horrific and well suited to the mood of the story. The summary is short but to the point, announcing many murders upfront and drawing the reader in to know what the connection between them was. Of all the love in world, a mother's love towards her child is one of the purest and the deepest forms of love. But what would happen when a mother is faced with the undeniable fact that one of her identical twin daughters is a raging psychopath who lusts for more than just blood and revenge? Even worse, which of her daughters was the murderer and which the victim or bystander? What would happen if the mother were to face one of her daughters to save the rest of her loved ones from her? What causes psychopathic behaviour in children and how far can it go before it can be identified and controlled or treated? Mummy's little angel is a page turner, that is for sure. I read the considerably sized book in two sessions and I turned the pages in horrified silence thinking of how and why psychopaths are formed, ruining their own lives and those of many others simultaneously. The book managed to hold me in place because of two major things - the shocking storyline and the good language. Maggie and Annie are twins. One of them has murdered their father, Jeff and their mother Joanne is deluded and believes that it was an accident. But as more evidences of more murders surface and as the proof of (one of her) daughters' shocking psychopathic tendencies keeps mounting, the mother's love is tested as she realises the truth. The suspense is maintained until nearly the end of the book and that is a good thing. But for seasoned readers, the character sketches gave an idea as to who was the mastermind or if it were just a series of innocent coincidences. For those who have been trained to look in the other direction as the magician wishes to divert your eyes to one side, this book will be a treat. You can play the race against the racing pages as you try to detect who the killer is. The story has too many shifting view points but the writing is similar in style for the various characters, making it hard to differentiate if you have not read the name at the start of the chapter. Written as diary entries, the multiple points of view can confuse you if you aren't clear about who is who. Not reflecting on the author's writing, a murder mystery (or even a psychological thriller) should leave more focus on the act and the process of identifying the truth behind the incident rather than use multiple angles that obviously distract the casual reader. Overall, an excellent book for those who love thrillers and gory, dark mysteries. I am not really sure I like some of the turns this book took, and some explanations did sound flimsy, but the rushing 'closure' chapter does give a kind of closure to the story - albeit a twisted one. Be prepared to expect certain pain and pleasure things the summary does not quite cover and you will not be as shocked by the book as I was. But simply for the author's writing and the good plot, this deserves a good rating. A book you could not stop reading once you pick up, no matter what you think of the actual scene by scene developments. With the rapid twists and even more rapid changes of scene, this book demands your complete attention for you to understand the story and appreciate it. The story was full of twists and turns, and that made it unputdownable. The characters are defined, and the horrors unexpected. The plot itself is very well crafted and the story manages to hold the reader's interest through confusions. Since this book has diary entries - it would have been much more logical to use actual dates for every entry to follow a chronological order. The climax (anti climax?) didn't quite sit with me - leaving me with a bad taste. If you have not expected it, the language and vivid descriptions of certain scenes will shock you. Unputdownable. But not just a 'thriller'. 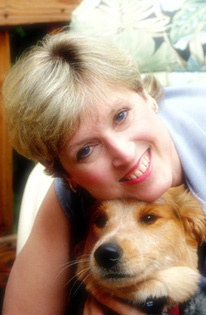 Award Winning Author, JW Lawson is already gaining recognition for her writing talents in the US and worldwide. The second of a trilogy of sensational thrillers, Mummy's Little Angel is the winner of the highly acclaimed Worlds Best Story competition and has also received some outstanding reviews from the professional team of judges in the competition. She is currently writing her third thriller, Crossroads which will be available in 2017 and the final book of the current series, Hush Little Baby will be available in 2018. When you are hooked onto a series, and read all the books in it continuously, it becomes difficult as time goes on to separate the individual events that happened in the different books. You have absorbed the story as a whole but you are not quite sure if, say, the marriage or the car chase happened in the books 2 or 3. There is always a slight risk of confusing characters even if the books could be read as standalones. The Hillary Broome novels would work good as standalones but since I got the first two (chronologically, not in series structure) as a gift from the author, I read them in the sequential order. So the first impression for the book would be merged with those I had of the previous books on the whole and not a unique, defining line. The cover for the book (like its predecessors) looked simple and not really covering the brilliance of the writing within. The summary kept it short and intriguing and has enough substance to make the random reader pick this up at bookstores and read further. House of Eire is the third Hillary Broome novel and like the books before it, it was also filled with great writing, tight plots and splendid story weaving. After having read all the three books in the set, I am of the opinion that the House of Eire could be read as a standalone because it does not miss out on any vital information but reading the other two books in the chronological order of release would make more sense. The protagonist herself undergoes a sea of change that changes her perspective on everything she encounters and it would be cruel injustice to just try to absorb her character and analyse it if you have read this one first. Reading the other two after this would be like watching a movie in reverse - from adulthood to gestation, because there is a lot to be gleaned about all the major characters from the first two books. That being said, House of Eire can be perfectly understood as one standalone book if that is all you have time for! The story itself is simple. Hillary is a reporter / ghostwriter. She decides to go to Ireland accompanied by her detective husband Ed. Ed is out there for a different purpose but Hillary focuses on retracing her ancestory while she is embroiled in a local problem. Her friend is now the leader of the group of people resisting the construction of a theme park that does not focus on Ireland's history as much as it should. Things turn murky when murders happen and all of a sudden it is not just the normal lives anymore. Paranormal references infuse the story after that point and it becomes a thick plot and a good page turner material. It is hard to write successive books with the same characters without seeming to offer contradictory development in character traits over multiple installments. For example, a character defined as 'generous with words' cannot be made to stutter and use bland words in later books, unless the situation calls for it. It is in the little things like these that Gilliam scores. The developmental changes that happen are almost always either completely consistent or veer off with good reason. The author deserves special praise for this. The language and descriptions are so realistic that they made me visit Ireland in my mind and it was, in equal parts, fun and emotional to know about the people and their living conditions. I looked at the book as a separate standalone and from that perspective, the novel and its plots are simple yet stunning. But when I say 'plots', I mean the two different things that the story focuses on and somewhere halfway through, the beginning is swiped down on the priority list only to be brought in to tie up the loose ends later on. But the overall tone and mood of the book more than makes up for this lapse. It is emotional, it is poignant and at the same time, enough to generate and keep the interest going until the last page. Having read all the books together, I would really like to read the next book in this set that comes along because Hillary as a character has got a niche for herself in my mind, thanks to June's carefully constructed writing. A bit more continuity and expansion to the 'looking into the family tree' angle of the story would have helped the book. Go for this one! It is a good read that keeps you turning the pages. I have already read book one from the Continental Breakfast Club series and loved the writing. Therefore, I had some idea of what to look forward to in this book. The title, obviously punny, caught my attention and seemed to fit well. The cover was simple with a good color scheme, closely following the footsteps of the cover of book one from the same series. The summary told me which of the three main characters (from Book 1) were going to be focused on and I sat down to read with pleasant anticipation. There is something incredibly comforting about reading the subsequent books of a series you liked. The characters are familiar, the author's writing style (that should have worked enough in the first few books) is likeable and you have a vague idea of how the story might turn out. This might mean that there are certain expectations you have for the series as a whole and the individual book you are currently reading, but if they are met, the whole experience turns happy in an instant and you are left with a pleasant feeling of having visited good friends. After Over Easy, I had grown to like the three lead characters and the subtle humour laced with fun that was the author's writing style. 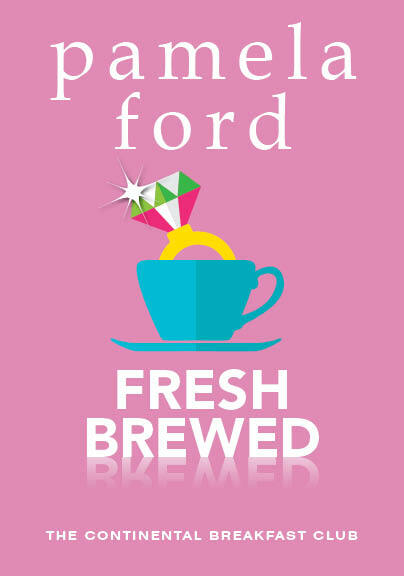 This meant I had little expectations for Fresh Brewed, except maybe sit back and enjoy where the ride took me. Much of the story is a continuous series of gaffes. There is a 'comedy of errors' thing going on throughout the book and it is mostly funny because of the author's choice of words and writing style. While both book 1 and 2 follow the ladies' quest to find their perfect matches, each for different reasons, the handling is completely different. 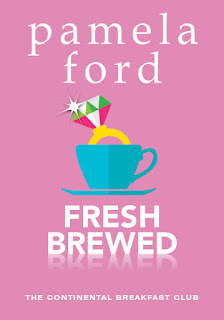 Over Easy had a tinge of adventure and suspense with mistaken identities thrown in while Fresh Brewed takes the adrenaline rush on a different, more romantically inclined, route. Though many stories previously had followed the 'it is just acting, what could go wrong?' path to 'everything that could go wrong, does! ', this one is funnier and better in many ways. The book has the perfect script for movies, and when combined with one stupid decision after another, it makes for embarrassing events that turn into good memories. The writing style is endearingly perfect and made me comfortable. The difference in genres of books one and two (should be called sub genre. Romance or mystery, the main theme is still chic lit) shows how the author could manage the different things so well. I liked this book better than book one in some ways, but most probably because I could relate better with and understand the three main women. The additional characters came and went perfectly for the story and the twists (probably planned to surprise) were predictable in the end. This is the kind of book you would want to sit down to read on a breezy summer afternoon. Writing style interlaced with generous doses of humour. Predictable - but not really complaining. If you really nitpick plot elements - they are similar in principle. But the development is where the magic lies. Ethan as a character should have got more space and description - if only to give the story some weight. Liked this better than book one, and would really go for book three when it arrives! HOW I GOT THIS BOOK: I thank Laura of iRead Book Tours for this review copy! I have previously read the works of this author and loved them. That she loves dogs and considers them part of a family (which pet lover doesn't?) is evident in the way she writes about them. I have read books from the Mac Faraday series and have liked the writing style of the author. Gnarly has always been a part of the series, and has a curious history. I loved the way he was characterised but did not expect an entire book almost dedicated to him as the central character. This should be fun! The cover of the book is simple and to the point. The podium sets the mood for the story while the doggy paw print tells us that amidst all that hue and cry, it is Gnarly who is going to steal the limelight! When you begin reading books from a series, or even those books having same characters in different settings, you kind of get used to them. You know who are the good ones, and who are otherwise. It is easy to pick favorites and follow their journey through the latest installment of a series you are a fan of. But what if that central character is not a human? Would you root for a dog the same way you would do for its master? Candidate for Murder would probably make you do that! 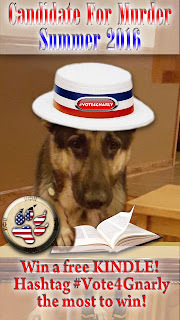 We have all heard stories about dogs and cats becoming Mayors of lesser known villages and towns and are often amused when the townsfolk say they are happy with their chosen mayor. The news is promptly forgotten or dismissed amidst laughs. But beneath all that, there might be a reason why certain towns choose pets / animals over people to represent them as the mayor. 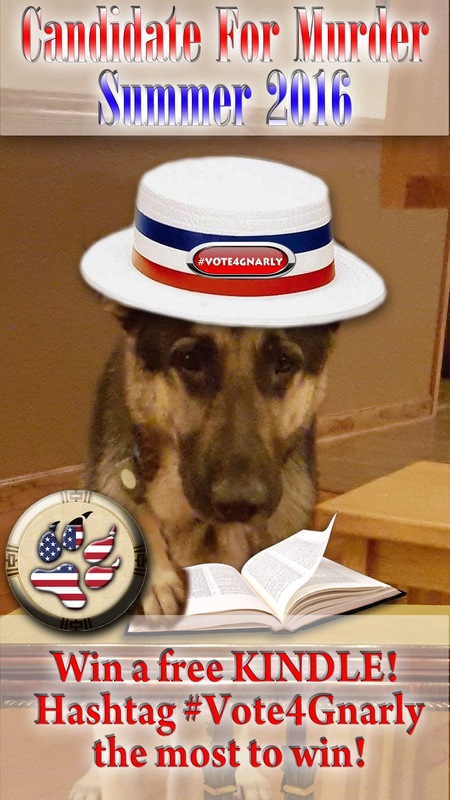 Most often, it is because the candidates in the fray are not deserving of the post they are contesting for and have finally made a whole bunch of people decide that a dog would do a better job of representing the town. But even dogs are not immune to the dirty politics once they become part of the competition. They are considered fair game for mudslinging and people suddenly are hyper aware to find faults with even the life of a dog or its history so they could demean the potential candidate and make his candidature useless. This is what happens to Gnarly, who, by a definitive stroke of luck (or a poorly executed joke) suddenly finds himself amidst heavy politics as a candidate for Mayor. But he quickly becomes a murder suspect when things turn against him as his political rivals, enraged by his sudden overwhelming popularity, dig deeper to find more and more dirt on him! The very premise of the story is funny, and brings an instant smile on the reader's face. Trying to balance serious issues like a small town being taken over by a sudden influx of city dwellers, rampant corruption in the scene of politics etc and blending them into a story that is a perfect blend of humour and suspense is not an easy task. Carr does it brilliantly and the book brings the whole of her usual characters set into action, uncovering a lot of things from years past. To those who have not read previous books, though this can be read as a standalone, some chapters might seem like they are jumping without proper character introductions and might therefore be confusing much. But if you get past that, the story is a real page turner. Someone native to the actual political scene in the US of A would probably be able to discern the concealed jibes at the actual scenario. But from an outsider's perspective, the story is a general theme applicable anywhere where there is dirty politics and corrupt minds. The writing is a bit too focused on Gnarly, but I did enjoy it because I focused, instead on what the story represented than what it actuallly said. Brilliant work by Carr, and one of the most laugh worthy books that also manages to make one think! For once, what if the funny headline you read came true? This book analyses that!